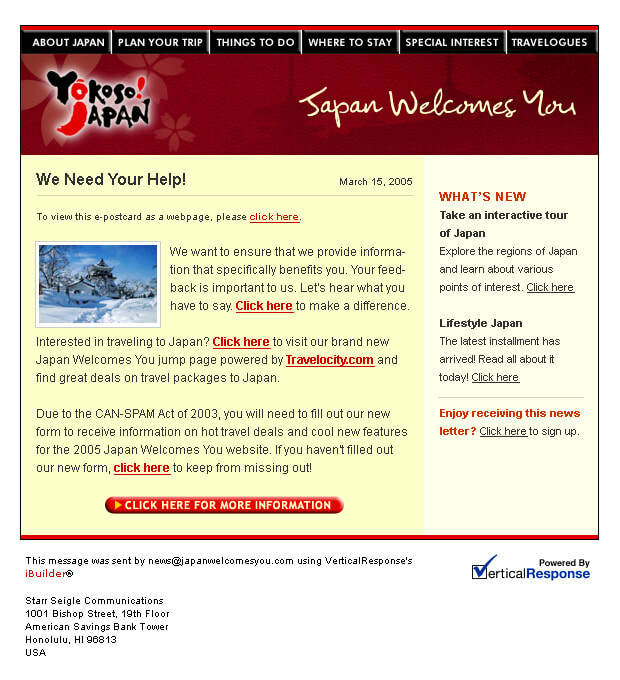 From 2003 to 2006, Japan's Ministry of Land, Infrastructure, and Transport (MLIT) enlisted the services of Anthology Group (formerly known as Starr Seigle Communications) to grow the number of inbound visitors from the United States into the country. 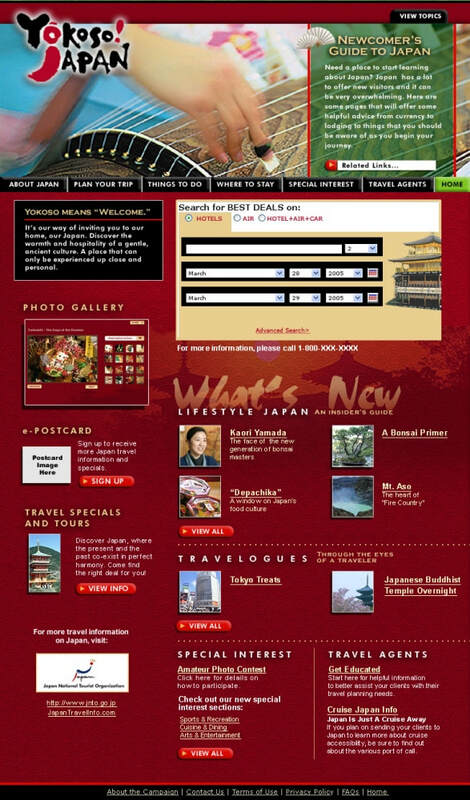 ​Our goal was to create a multi-channel campaign, centered on a website residing at JapanWelcomesYou.com, interactive elements, email marketing, online advertising, content marketing, public relations, traditional advertising, media placement, and more. 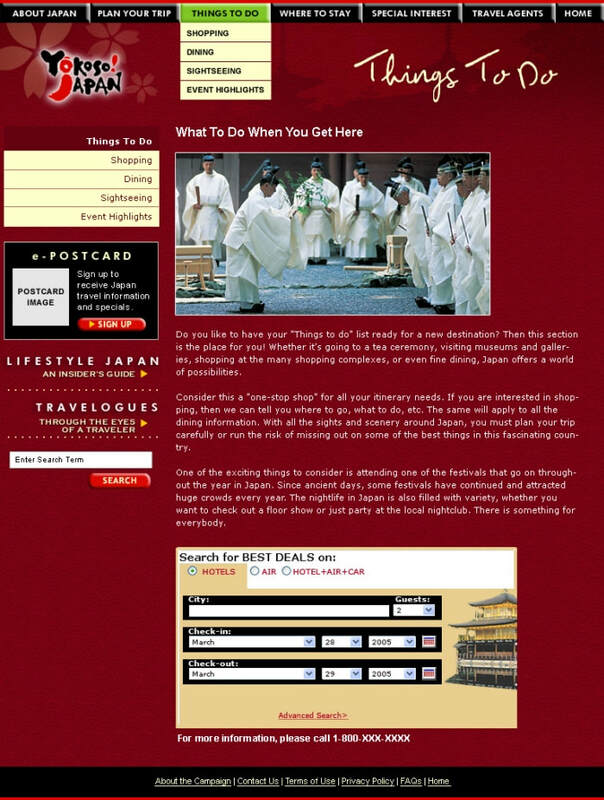 The campaign's initial tagline was "So Foreign, Yet So Familiar" and sought to express how welcoming Japan was to U.S. tourists — hence the use of "Yokoso!" ("Welcome") in the messaging. For three years, I served multiple roles on this program: client and project manager, content writer and researcher, email marketer, and liaison with Travelocity. 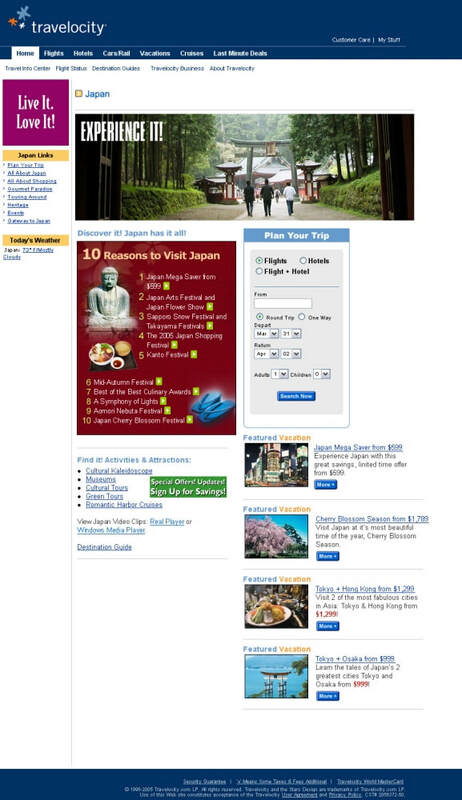 Built on a customized Content Management System, JapanWelcomesYou.com was a marketing tool to encourage tourism. 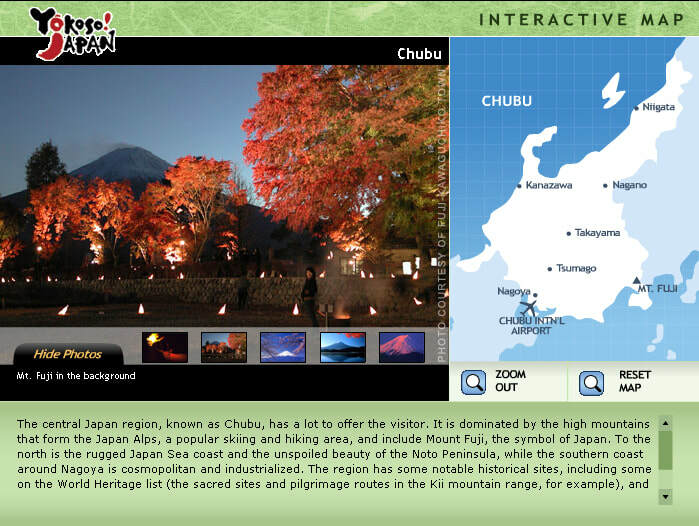 It went through several iterations over the years, initially showcasing how similar the U.S. and Japan were, before expanding to do more outreach and content marketing. In the final year of the campaign, I worked with a freelance writer to produce a series of "travelogues" that included photos of various parts of the country. The topics of these articles varied depending on the month, but multiple posts would be uploaded periodically to keep the content fresh. The campaign also teamed up with Travelocity to incorporate a booking engine directly onto the website, as well as establishing a branded page on Travelocity.com, along with direct email campaigns and online banner advertising. As the project manager for the three years we worked with Japan's MLIT, my role not only included managing designers, developers, and third-party partners, but also doing copywriting, planning and executing email marketing, reporting and analytics, and generating proposals for future work on behalf of the campaign.